Catch PE students jumping rope. 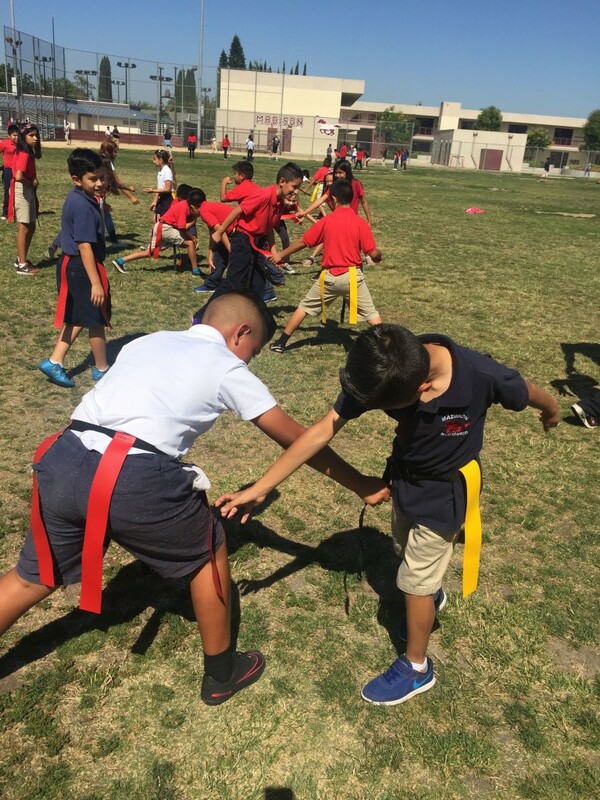 Thanks to Margaret Slonkosky at Madison Elementary, the District’s “Catch PE” program was implemented for 100 minutes a week. Equipment included foam footballs, foam dodge balls, jump ropes, colored cones, and flag football quick release belts. 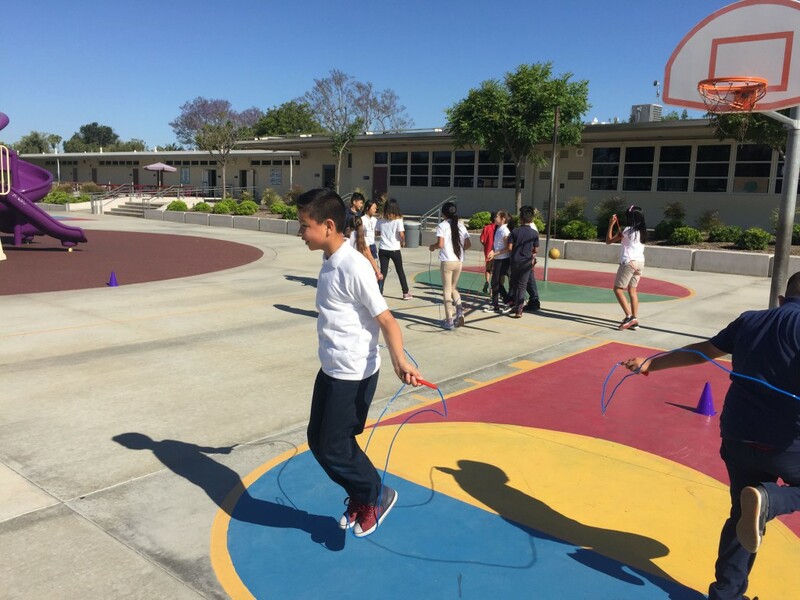 With 25 jump ropes, all her students were able to become proficient at jumping rope, providing them excellent cardio workouts. After sharing this special PE equipment with other teachers, Mrs. Slonkosky also observed higher quality PE lessons across the campus.